Whoa. Looks like Keanu Reeves is jumping into television. The Matrix star will produce and play a Japanese American assassin in Rain, an hourlong action drama based on the bestselling book series by Barry Eisler. Rain will be the first series from the newly launched Slingshot Global Media. They don't have a writer for the series yet, but Rain will draw from an extensive series of novels that follow the exploits of John Rain, "a half-Japanese, half-American contract assassin" who specializes in killing without making it look like killing. Rain centers on John Rain (Reeves), a half-Japanese, half-American contract assassin who specializes in taking out his targets by making it look like death by natural causes. An outsider in whatever world he's in, Rain ironically finds that the one identity he knows -- that of being a hitman -- is the very thing that prevents him from bringing others closer into his life. Eisler's series of novels featuring Rain, on which the show is based, includes A Clean Kill in Tokyo, A Lonely Resurrection, Winner Take All, Redemption Games, Extremis, The Killer Ascendant, The Detachment, and Graveyard Of Memories. 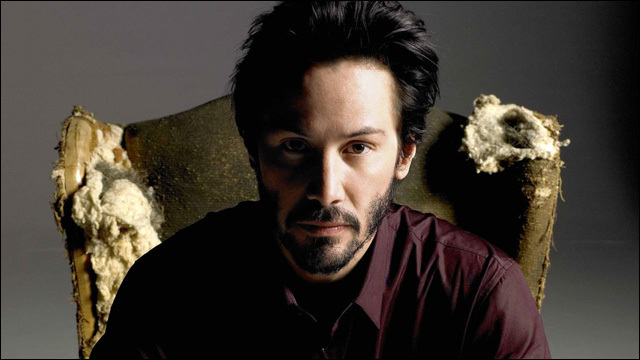 Keanu Reeves' multiracial identity has always been just kinda there, usually unspoken and/or even irrelevant to his roles -- meaning white -- but has recently started becoming a thing in movies like 47 Ronin and Man of Tai Chi, sort of. It'll be interesting to see how much this particular aspect of his character is addressed in Rain. In any case, I am excited for my good friend Quan Phung, who is president of scripted television at Slingshot.